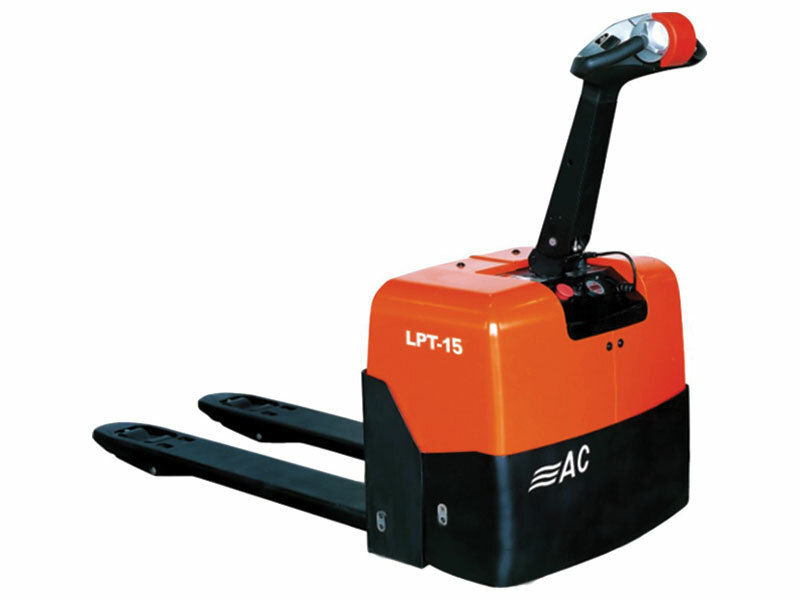 What is the purpose of the Fully Powered Pallet Truck? 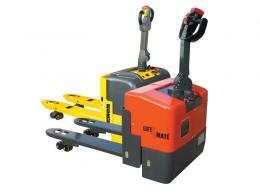 You can get maximum control of your pallet truck with the Fully Powered Pallet Truck. The smooth travel, even lift, and reactive controls allow you to stay in control the whole time and limit the risk of damaging your products. You will experience increased productivity with this pallet truck since you can program the pallet truck for specific tasks. However, control isn’t all you get with the Fully Powered Pallet Truck. You also get power. 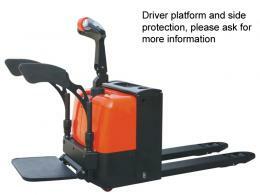 The Fully Powered Pallet Truck can support up to 3000kg of weight. The Fully Powered Pallet Truck is ideal for busy warehouses where you can take complete advantage of its many features or for work environments where you need one pallet truck to complete a variety of tasks. Anyone who is used to pulling a manual hand pallet truck full of heavy materials will appreciate using the Fully Powered Pallet Truck. This pallet truck is extremely easy to use and makes work faster and more productive. Whether you are working in a warehouse, a factory, or somewhere else along those lines, your staff will benefit from this incredible pallet truck. 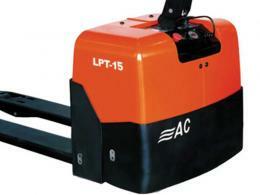 The Fully Powered Pallet Truck is equipped with 1150x540mm forks and has a fork height ranging from 82mm up to 205mm. The electronic control can be programmed to complete specific tasks for ultimate user friendliness. It is also equipped with an electro-magnetic brake and the lift limit switch shuts off the pump motor at maximum lift. When you order a Fully Powered Pallet Truck you can rest assured knowing you are getting the best possible price with our price matching guarantee. Our free delivery will have the pallet truck at your door in three business days and it will arrive with a one-year warranty for parts and labour.